Roost Alexandria Saffron Wine - Miam! 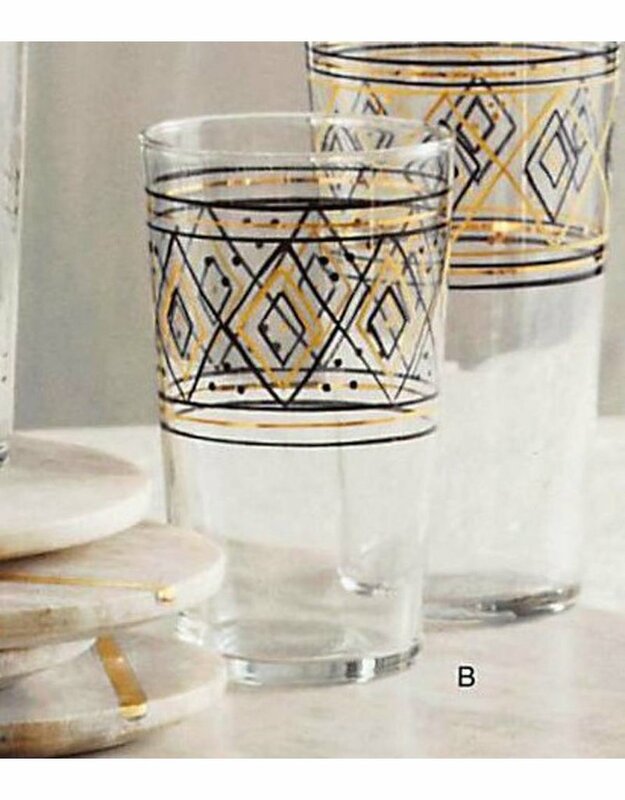 The lovely Egyptian geometric pattern on this painted glassware transports us to Alexandria, where we might sip tea in a souk. 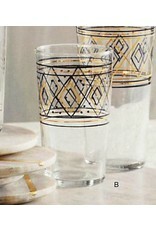 Hand-painted in saffron and embellished with gold stripes.